Oaxaca de Juárez, Oaxaca – Planeta.com is organizing its most ambitious, innovative social web workshop March 19-22 titled All Travel is Local (Todos Viajes Son Locales). The workshop will contribute toward the movement toward local travel in all its forms — conscious travel, indigenous travel, cultural travel, eco travel, responsible travel — using the social web and face-to-face encounters. The workshop coincides with two important events: the anniversary of Benito Juárez’s birthday (March 21) and the Lent celebration of Friday of Sorrows (Viernes de Dolores) which rivals Muertos in the construction of elaborate altars. No sit-down classroom seminar can rival the success of learning in a more stimulating environment with hands-on training. Participants receive practical tips for using the social web and an opportunity to meet locals in a World Heritage city. We showcase good practices in Oaxaca’s public parks, traditional markets and world heritage sites which will be of interest to locals, Mexican nationals and foreigners. By structuring the event as a series of games and rallies, participants will learn how to make practical and responsible use of their smartphones. Participants are asked to create accounts on the following sites: Facebook, Flickr, Foursquare, Google, Twitter, YouTube and WikiVoyage. Those with smartphones are asked to download the apps. The workshop builds on a 10-year-plus history Ron Mader has in Oaxaca and nearly 20 years in Mexico. It also builds on the momentum generated in February during the fifth annual Responsible Travel Week. Ron Mader has offered web workshops in Mexico City, Guadalajara and Oaxaca in Mexico as well as international clinics in Quito, Ecuador and Hyderabad, India, site of the recent Conference of the Parties to the Convention on Biological Diversity and Global Workshop for Indigenous and Local Communities organized by the Convention on Biological Diversity. The agenda and registration information is updated on the Oaxaca Wiki: oaxaca.wikispaces.com/local. 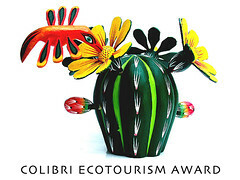 OAXACA DE JUAREZ, MEXICO — As part of the global celebration of World Environment Day (June 5), Planeta.com presents the eighth annual Colibri Ecotourism Award to Gerhard Buttner, who has trained guides and artisans in the Yucatan and Oaxaca. “I can think of no better candidate this year and it is hard to know where to begin in touting his professional work in Mexico and the assistance he has given Planeta.com,” said Planeta.com founder Ron Mader. “The list of achievements of this year’s winner is great. His work is beyond exemplary and validates what the Colibri Award represents,” said award sponsor Emilio Kifuri of Canyon Travel. Colibri means ‘Hummingbird’ in Spanish and in 2008 the Colibri Award celebrates its eighth anniversary, making this one of the longest-running ecotourism awards. The winner of the annual award receives a trophy, diploma and a $1,000 cash award from Emilio Kifuri, president of Canyon Travel. The Colibri Ecotourism Award’s co-sponsor, Destination Ventures, contributes directly to Planeta.com to develop supporting projects documenting the winner’s work. The company specializes in travel industry education and currently works for the Mexico Tourism Board and United Nations Foundation in promoting sustainable travel to UNESCO World Heritage Sites. Previous winners include Steve Bridger, Jennifer Morfín, Hector Ceballos-Lascurain, Jorge Chàvez de la Peña, Fernando Garcia Aguinaco, Marlene Ehrenberg, Juan Carlos Ibarra and Antonio Suárez and Francisco Verastegui. The winner of the award is selected by Planeta.com founder Ron Mader following consultation with previous award winners and colleagues. Planeta.com presents the Colibri Ecotourism Award to those whose work in Mexico is exemplary and who share what they learn. Good ideas require good work to come to completion and good work needs to be documented so that lessons can be shared. 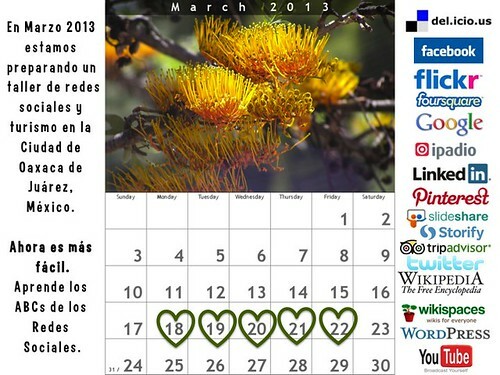 Nominees participate in the Planeta Forum or contribute editorial suggestions for at least a year. Bonus points are given to those who participate on other websites and forums. This is part of Planeta.com’s desire to create incentives for communication, collaboration and continuity, all vital elements in the development of ecotourism and responsible travel. Gerhard Buttner wins the 2008 Colibri Ecotourism Award. “I can think of no better candidate this year and it is hard to know where to begin in touting his professional work in Mexico and the assistance he has given Planeta.com,” said Planeta.com founder Ron Mader. Gerhard has worked as tourist guide and development consultant in South Africa, as cartographer in England and traveled widely in Africa, Asia, Middle East, Europe and Latin America. In the last five years he has been in Mexico where he married Gabriela Ramírez Galindo, a Mexican. On arrival in Mexico he worked as guide trainer, English teacher and ecotourism consultant in Celestun, Yucatan and in recent years is based in Oaxaca. Here he has worked in participative community cartography using GIS (Geographical Information system), community development and as ecotourism guide trainer and related issues mainly in Oaxaca and occasionally in neighboring states of the Mexican southeast. A geographer from Cape Town, South Africa, Gerhard prepared location maps for several Planeta.com pages. His geographical know-how also inspired Planeta.com’s guide to geography. Gerhard also has been an active participant on the Planeta Forum and has been an active participant in several of Planeta.com’s online conferences. Gerhard has been working with the community of San Antonio Cuajimaloyas providing guide training and promotion, as the town has developed its annual mushroom fair. He has documented the innovative festival in the Planeta Forum in 2004, 2005, 2006 and 2007. Conversations with Gerhard led to the Survey on Community Tourism Guides which is one of the few evaluations of travelers and their views on what they want from community tourism. In 2008 Gerhard is the English-language teacher of the new program Oaxaca Amigos: English Classes for Community Guides and Rural Artisans in the town of Teotitlán del Valle.